With the sounds of FatherDude continuing to do incredibly well, (hitting well over ten million on SoundCloud), he has just released his latest EP “The Balance”. As part of this awesomely diverse collection comes a remix of one of his tunes, “Eyes On You”. 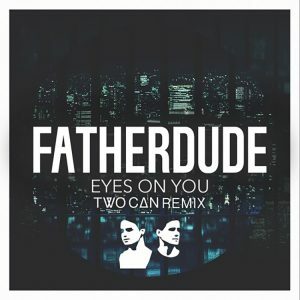 It is Melbourne duo Two Can, who FatherDude has previously worked with, who provide their breath-taking edit of the single. Fusing euphoric dance floor energy with vibrant synth work and distinctive vocal hooks, this “Eyes On You” rework offers something different with each listen.